The IMR brand was created under the DuPont Corporation. In fact, E. I. duPont arrived in America in 1800 determined to make an improved gunpowder and, by 1802, was producing gunpowder in a new plant along the Brandywine River in Wilmington, Delaware (this plant morphed into what is today the GOEX brand of black powder). DuPont had historically been a major supplier of military propellants long before becoming one of the handloader’s favorite powders. First used in battle in 1805 by United States naval forces against pirates off the coast of Algiers, DuPont supplied more than 80% of Allied Forces powder needs in World War I. Every week of WW II, as many munitions were used as in all of WW I. This demand lead to an incredible 2.5 billion pounds of smokeless propellants being manufactured by DuPont for Allied Forces in World War II. The IMR brand was first introduced under DuPont in the 1930’s. IMR is an acronym for Improved Military Rifle. The first IMR reloading powders included ever popular favorites IMR3031 (1934), IMR4064 (1935) and IMR4350 (1940). Each of these are still favorites with handloaders today! 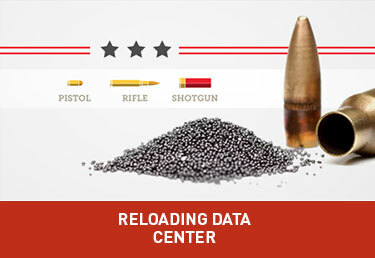 The IMR series of handloading powders were the only choice to wring full performance out of rifle calibers. For this reason, the IMR brand powders truly are Legendary products. Time does not stand still and neither does the IMR brand. Although the brand continues to be a favorite of handloaders everywhere, new technology has allowed improved versions of the traditional IMR burn speeds to be introduced. These improved powders, identified by the “Enduron” sub-branding, offer improved temperature stability and an additive that removes copper bullet jacket fouling as you shoot. The Enduron powders are the first to offer all these features at the same time. The Enduron powder line continues to bring new burn rate offerings to the handloader. Even in the early days, DuPont focused on innovation – offering “any quantity of powder as good or better than any available”. Today, IMR is still focused on innovation. Originally a line of rifle powders the IMR brand has been expanded to include powders for use in handgun, shotshell and muzzleloaders. For 2017, IMR introduced five new pistol and shotshell powders. The IMR brand commitment to bring new and legendary powders to the handloader is a never-ending process. In 2003, Hodgdon Powder Company acquired the IMR brand bringing these prestigious powders under the umbrella that also includes Hodgdon, Winchester and GOEX. Any gunpowder required by handloaders can be sourced through these brands.